Every day is earth day, of course, but Earth Day, April 22, is an ode to the power of people in protecting the environment. Although sometimes co-opted for marketing consumer items, Earth Day was originally organized to bring people together to promote action for the environment. To participate in the Ottawa March, come out to the main steps of Parliament Hill at 11 a.m.
Old Home Earth Day Event: The Glebe Community Association is hosting exhibits and workshops all about how to be energy efficient and live more sustainably in older homes. It’s at the Glebe Community Centre (175 Third Ave.), 10 a.m.-3 p.m. Find the schedule on their Facebook page. Earth Day at the Canadian Museum of Nature: Walk across a giant map of the Arctic, journey through an inflatable polar bear, join a botanical scavenger hunt, crafts and play Inuit games. 10 a.m.-4 p.m. More information on the Museum website. Great Cloth Diaper Change: Ottawa Doula Services is hosting the Great Cloth Diaper Change in Ottawa from 10-11:30 a.m. at the Ottawa Birth and Wellness Centre (2260 Walkley Rd.) The event, held in more than a dozen countries, promotes use of reusable cloth diapers. 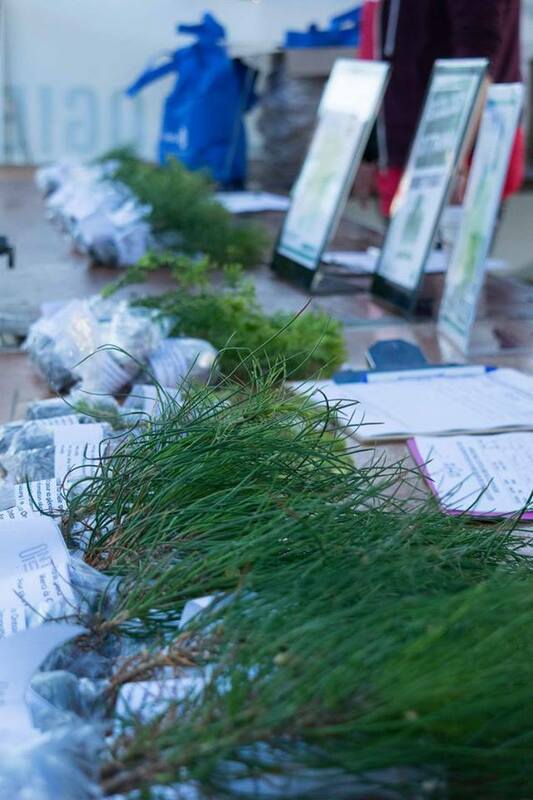 Wakefield Earth Day Green Market and Environmental Fair: This event features exhibits by local craftspeople, artists, green builders and food vendors; bike repair, tree-climbing, music and more. 10 a.m.-5 p.m. at the Wakefield Community Centre (38 chemin Valley, Wakefield, QC); hosted by Chambre Wakefield-La Pêche Chamber. River Ward Earth Day Event: Riley Brockington hosts this community event at the Hunt Club-Riverside Park Community Centre from 2-4 p.m. Maison Tucker House talks energy conservation and Junk That Funk provides an e-waste drop-off. Added: Rethinking Canada’s 150: Human Library and Arts Showcase: Although not billed as an Earth Day event, this gathering features people sharing their experiences and perspectives on social and environmental justice, decolonization and immigration. The focus is “to bring alternative discourses to the mainstream narrative of Canada’s 150th anniversary.” Organized by Next Up at 25One Community (251 Bank St., 2nd floor), 3-6 p.m.
Added: Indigenous Walking Tour: Not specifically for Earth Day either, but Indigenous Walks is holding a public tour of central Ottawa from an Indigenous perspective. 5-7 p.m.; register at booking@indigenouswalks.com. Ottawa Park Summit and Earth Day Celebration: Ecology Ottawa is organizing two related events for Earth Day. From 1-5 p.m., they’re partnering with Greenspace Alliance, Just Food, EnviroCentre, Sierra Club Canada Foundation, Federation of Citizens’ Associations, Social Planning Council of Ottawa and Park People to host a gathering on how to make Ottawa’s parks great. See the website for details and registration. At Ecology Ottawa’s Earth Day Celebration, the focus is on celebrating community efforts towards environmental justice. The evening (5:30-9 p.m.) includes entertainment by comedian Martha Chaves and DJ Cat Abreu, refreshments and door prizes from local eco-friendly businesses. Both Ecology Ottawa events will be at Makerspace North (250 City Centre Ave.). Earth Day 2017 Ottawa International Writers Festival: The OIWF brings an impressive line-up for Earth Day. Nishnaabeg writer Leanne Betasamosake Simpson presents the stories and songs of This Accident of Being Lost. David Suzuki and Ian Hanington discuss Just Cool It!, their book on solutions to the climate crisis. At 6:30 p.m. at Christ Church Cathedral (414 Sparks St.). Voices of Earth: Local choir Tone Cluster is holding Voices of Earth, a concert to mark Earth Day. It’s at Centretown United Church (507 Bank St.) at 7:30 p.m.
Let us know if you hear of other Earth Day events in Ottawa! More April events this week! Urban Forum, in partnership with loveOttawa, is holding I Love Ottawa, an evening about what people around our city love about Ottawa and why. It’s on Wednesday, Apr. 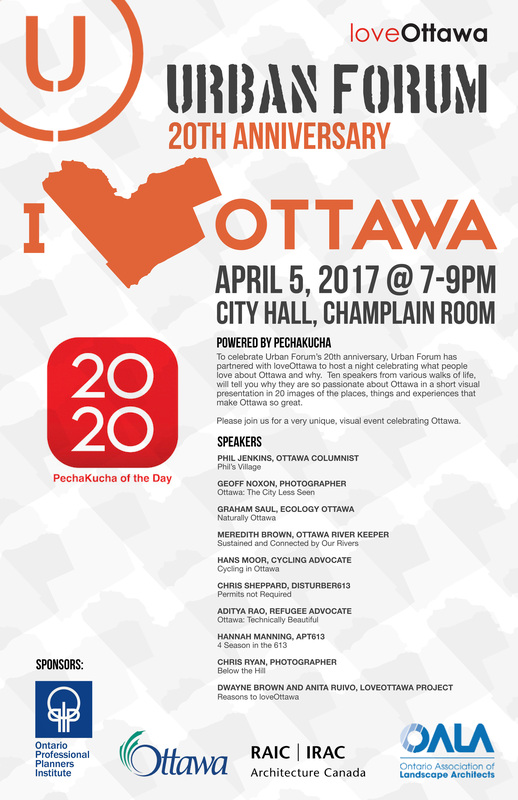 5, 2017, 7-9 p.m. at the Champlain Room, Ottawa City Hall. Presenters include Ottawa River Keeper Meredith Brown, Ottawa writer Phil Jenkins, Ecology Ottawa’s Graham Saul, cycling advocate Hans Moor, photographers and creative city builders Dwayne Brown and Anita Ruivo of the loveOttawa project, and other people you’d love to hear and see from. Urban Forum is presented by the Ontario Professional Planners Institute, Ontario Association of Landscape Architects, Ottawa Regional Society of Architects, Institute of Transportation Engineers and City of Ottawa. The City of Ottawa continues its Wildlife Speaker Series with A Celebration of Canada’s Wildlife on Thursday, Apr. 6, including a Wildlife Expo at 6 p.m. and a presentation by naturalist Michael Runtz of Carleton University at 7 p.m. The NCC’s Capital Urbanism Lab – Youth Engagement in City Building on Thursday, Apr. 6 is all about how youth are engaged in creating the city through housing, transportation and community development, from the perspective of groups from California, Edmonton and Gatineau. It’s from 6-8 p.m. at 40 Elgin St., 2nd floor (and will be livestreamed on YouTube). Added: Just Food presents a discussion on growing (and eating) vegetables, seasonal eating and wild foraging with Stephen Barstow, author of Around the World in 80 Plants. On Thursday, Apr. 6 at Centretown United Church, 6-9 p.m. If you’ve ever wanted to learn skills in repairing and making stuff rather than throwing out or buying new, the Ottawa Tool Library and Makerspace North have a deal for you. On Saturday, Apr. 8 from 11-4, they’re hosting a Repair Café, where you can bring your items that need repairing (or share your repairing skills), and a Make-a-Thon, where you can reserve space to work on your project—and borrow tools from the library, of course. Check the website for more information and to register. Learn more about the connections between the environment and health at Upstream’s Closing the Gap: Better Health for All conference on Saturday, Apr. 8. It’s from 1-5 p.m. with evening speakers scheduled as well. If you register to attend, you can also access the livestream of the event. Stay tuned for more April events as we approach Earth Day, April 22. 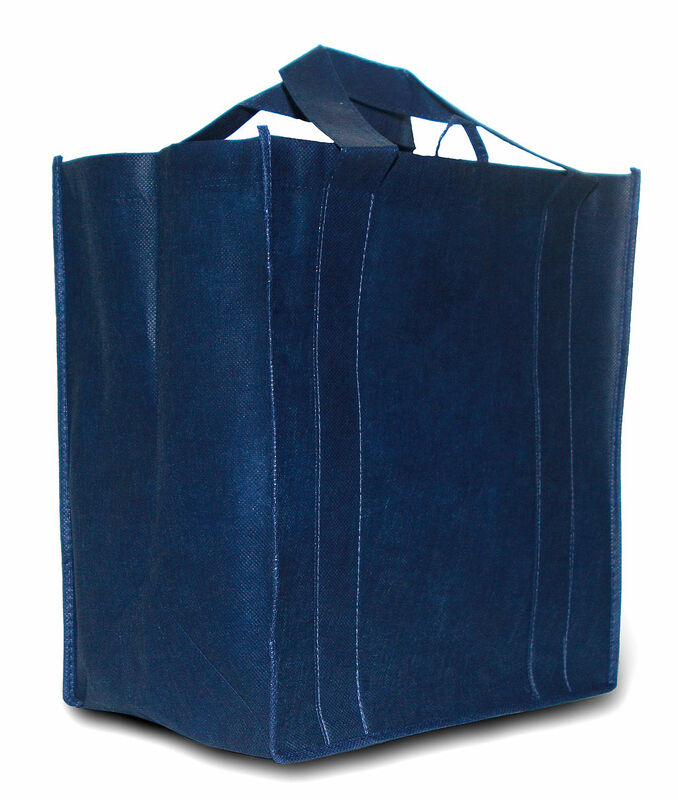 Blue reusable shopping bag by TooHotToHandle at en.wikipedia Creative Commons Attribution-Share Alike 3.0 Unported license. September brings pressures to buy stuff, like fall clothes and school supplies. Buying sustainable is one option; re-using, recycling and buying local or handcrafted items can be great alternatives. The Old Ottawa South Community Association holds its Community Wide Porch Sale on Saturday, Sept. 12, 2015. The sale includes a tool drive for the Ottawa Tool Library, and an e-waste depot that supports Hopewell School Council and HealthBridge. 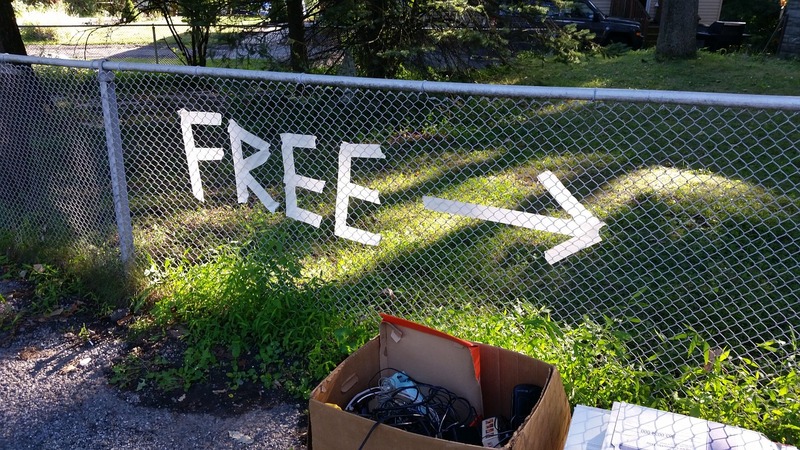 Centretown, Sandy Hill and other communities are also holding neighbourhood-wide garage sales on Saturday. Also on Saturday, Sept. 12, the new 613flea, a non-profit marketplace for artists, artisans, antique vendors, vintage clothing sellers and other creative types to sell their wares, launches at Lansdowne Park. 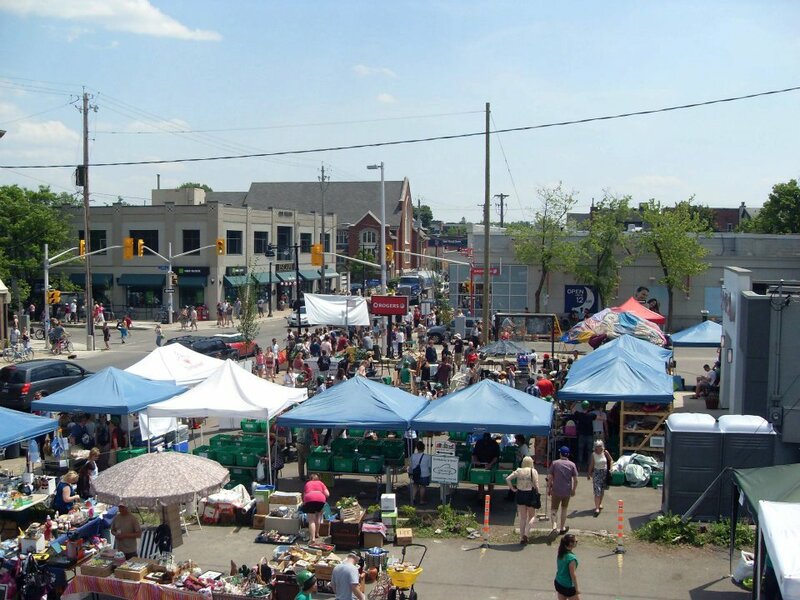 At the annual punkottawa.com flea market at the Bronson Centre, you’ll find records, clothing, jewelry, art and more. Update: Dress for Success Ottawa is holding a Fall Hidden Treasures Sale on Saturday, Sept. 12 until noon. Proceeds support DFS’s efforts to enable women in difficult circumstances to obtain clothes suitable for work. Stock up on used books when Friends of the Ottawa Public Library hold their next Mammoth Book Sale on Saturday, Sept. 19, 10 a.m.-2 p.m. at 100 Tallwood Drive. You can also purchase used books at many library branches; proceeds support the library through FOPL. If you’d like to donate books, check here for details on what’s needed. Another place to find used books is at Karen Learning and Education Opportunities (KLEO)’s Annual Book Sale on Saturday, Sept. 19 at the Dovercourt Recreation Centre and Saturday, Sept. 26 at the Royal Canadian Legion’s Westboro Branch. Book purchases will support KLEO’s work to provide education for Karen children in Thailand. If you’re looking for home renovation supplies, check out Habitat for Humanity’s ReStores—there’s one in Ottawa East and one in Ottawa West. Profits support Habitat for Humanity. They also accept donations of building and home décor materials, although it’s best to call to find out what they need. The stores also accept used electronics for recycling. Need a bike to get to work or school, or just to ride? Try re-Cycles or Cycle Salvation. They sell refurbished bikes, and also accept bike donations. Check their websites for details. Play It Again Sports and Tim’s Used Sports Equipment sell used athletic gear. Kunstadt Sports also has a selection of used equipment. For second-hand clothes and accessories, in addition to thrift stores, try consignment stores like Rikochet Resale, Clothes Encounters of a Second Time, The Clothes Secret, AMH Style and Boomerang Kids. 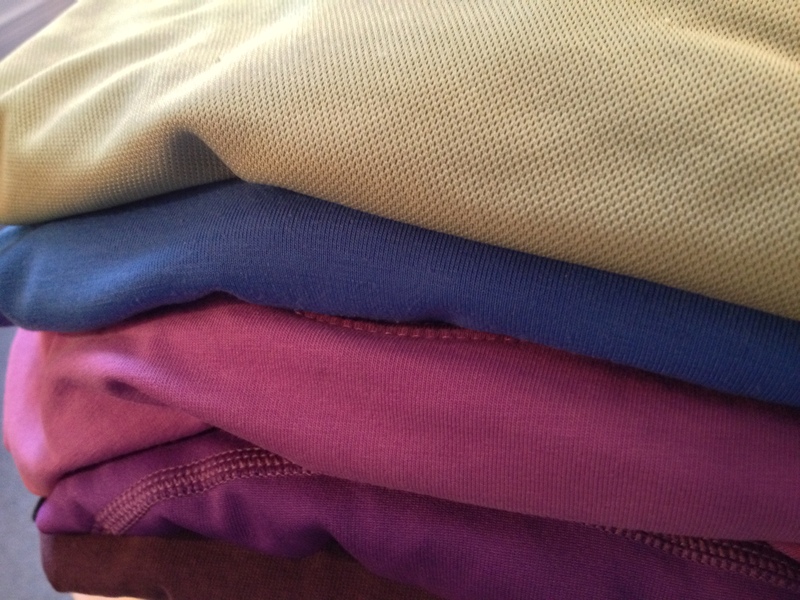 Update: On Saturday, Sept. 19 during Tastes of Wellington West, if you buy a used t-shirt at St. Vincent de Paul, Twiss & Weber will help you upcycle it as part of their #FabCollab. Update: Also check out Etsy Made In Canada Day on Sept. 26 and 27 for crafts and products made locally and/or from reclaimed materials. There’s a growing list of vendors here. Need more suggestions? Try http://ottawastart.com/directory/shopping-services/used-stuff/. And please let us know in the comments if you have favourite sources.